Dr Ying Chen holds a Doctor of Juridical Science (SJD) degree and a Master of Laws (LLM) degree from Indiana University Robert H. McKinney School of Law, United States and a Bachelor of Laws (LLB) degree from Yantai University School of Law, China. Her research interests are primarily in the areas of International Trade and Investment, Food and AgLaw, Human Rights, and Comparative Law (specialising in comparative study of Chinese Law and US Law). Dr Chen’s research has been published in leading US and European law journals, such as Cardozo Journal of International and Comparative Law, New York International Law Review, Columbia University Journal of International Affairs, European Journal of Law Reforms, and Indiana International and Comparative Law Review. Her monograph entitled Trade, Food Security, and Human Rights - The Rules for International Trade in Agricultural Products and the Evolving World Food Crisis was published in 2014. 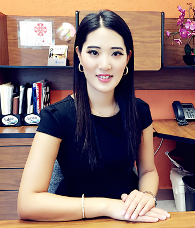 Dr Chen has teaching experience in Private International Law, Public International Law, Human Rights, Intellectual Property, Alternative Dispute Resolutions, Legal Writing, and Introduction to the US Legal System. She has taught in the US, China, Mexico and Australia. Dr Chen is also very active in speaking at international conferences. She has been invited to present her research papers in the US, UK, Spain, France, China, Mexico, and Turkey.